Are you planning to donate blood anytime soon? Do you want to know if you’re eligible? Well then, read on because we are going to discuss the benefits of donating blood. Apart from letting you save someone’s life, other benefits of donating blood include keeping your body healthy and young for a long time. Even though blood donation does not entail any risk, you should still be aware of the blood donation requirements. Let’s start! 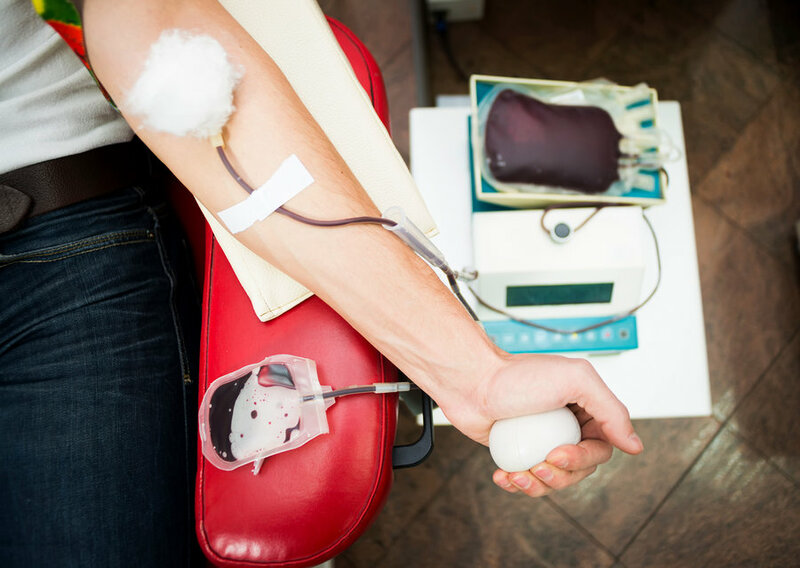 Before we get to the benefits of donating blood or even the blood donation requirements, let’s get to know the rich history behind blood donation, where it first started, who came up with the idea and such. The concept of blood donation has been there since the year 1628 when a physician William Harvey discovered the circulation of blood. Within a short period thereafter, the process of blood transfusion was attempted. The process involves transferring a certain amount of blood from a healthy individual to a patient in need. The roots of blood donation in India date back to March of 1942 when the first blood bank was established in Kolkata at the All India Institute of Hygiene and Public Health which was under the supervision of Red Cross. You should take pride in donating blood because you are potentially saving lives without even realizing it and enjoying the benefits of donating blood yourself at the same time. If you haven’t donated blood yet then here are a few facts that should motivate you to do so. However, roughly thirty-eight percent of the population meet the blood donation requirements. Blood donation is a responsible duty that any eligible individual should diligently perform not only because it serves a greater societal purpose, or is ethical on humanitarian grounds, but also because the person donating also enjoy the benefits of donating blood. By donating blood you help the society in the following ways while yourself enjoy the benefits of donating blood. Most doctors recommend undergoing the process at least once every six months if not more. How that donation helps others is, with every donation one makes, potentially three lives can be saved every time. The blood drawn from the healthy host might either be used for transfusions or made into some form of bio-medicine by separating the whole-blood components; red blood cells, plasma, and platelets. or even sickle cell patients who require frequent transfusions. Although the suggested wait time to donate blood after already going through the process once is roughly 3 months a volunteer can go through the process in as soon as 56 days. Such that between ages of 17 and 76 years an individual could potentially save over 1000 lives. Also, read about: CPR Steps. As previously mentioned, blood donation doesn’t just hold societal benefits, even you enjoy the benefits of donating blood provided you meet the blood donation requirements. Here is a list of health benefits of donating blood. Multiple research and studies have shown that blood donation can help reduce up to 88% risk of heart attacks. Apart from the heart, the liver is also something that can be majorly affected by excess deposits of iron, along with damage to the pancreas. Regular blood donation helps reduce the cholesterol levels, the excess of which blockages and clogging in the body hindering the blood flow. Studies have also shown that blood donation helps with the fluidity of blood. Since over time blood starts to thicken which causes the flow to slow down it is necessary to let the body generate a certain amount of new blood in order to maintain its viscosity. For people looking forward to achieving their weight loss goals, donating blood every once in a while could help with losing up to 650 calories each time. Also, since the body has to regenerate the amount of lost blood, it helps with mitigating premature aging effects such as wrinkles. And lastly, it trains the body to heal faster, after a stage the body attains a certain level of red blood cells that help in speeding up the process of clotting of wounds. Also, read about: Organ Donation Myths & Facts. Blood Donation Requirements. Image Credits: NPR. If you want to know if you can donate blood, then check the list of blood donation requirements you need to meet in order to make sure you’re eligible. Being aware of the requirements may also help raise awareness about the necessity and benefits of donating blood. Here goes the list of blood donation requirements. You will not be able to donate blood if you have been diagnosed with Hepatitis C or B or if you were sexually involved with anybody suffering from those conditions. You will also not be able to donate blood in case you had a transfusion or had a tattoo made in the last 12 months. You meet the blood donation requirements if you fall in the age group of 18 to 60 years. You also meet the blood donation requirements if your hemoglobin count is at least 12.5%. You cannot donate blood if you have underlying medical conditions such as hypertension, or diabetes. You are also not eligible after undergoing a dental procedure within the last 24 hours. This article is best summarized with the words of the 44th president of the United States of America, “The best way to not feel hopeless is to get up and do something. Don’t wait for good things to happen to you. If you go out and make some good things happen, you will fill the world with hope, you will fill yourself with hope.” – Barack Obama.